Amelia talks about the 10th anniversary of The Santa Monica Farmers’ Market Cookbook and shares her favorite recipe to show off fall’s jewel: quince. 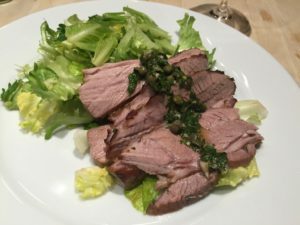 Amelia shares a simple recipe for Roasted Leg of Lamb with Salsa Verde that’s ideal of any spring celebration. 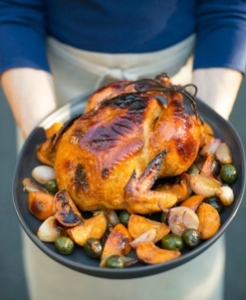 Cookbook author Amelia Saltsman shares a seasonal holiday recipe for Roast Chicken with Tangerines, Green Olives and Silan from The Seasonal Jewish Cookbook. 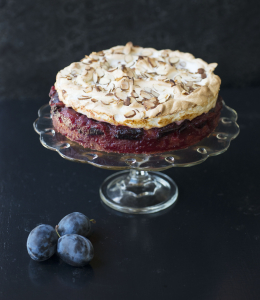 Amelia’s European Plum Meringue Torte recipe was inspired by a recipe from her Aunt Hanna’s old baking journal and can be enjoyed throughout the year by substituting plums for other delicious seasonal fruit—apples, pears or even ripe apricots! Koda Farms’ rice is the star ingredient in Amelia’s comforting Savory Rice Porridge with Nettles. 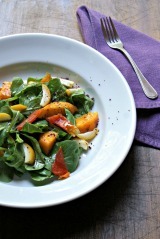 If you like fresh dates, you’ll love Amelia’s recipe for Golden Barhi Date Salad. 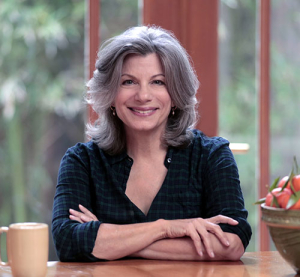 Amelia Saltsman is the author of the Santa Monica Farmers’ Market Cookbook. This week Amelia shares recipes for three Easy Summer Tartines. 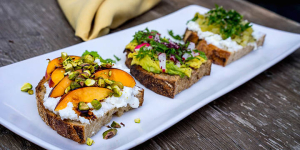 She tops toasted country bread with ingredients like smashed avocado, green tomatoes, and nectarines. 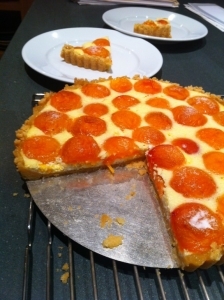 All it take is a simple crust and fresh fruit to make this stellar Easy Apricot and Greek Yogurt Tart.